Seoul, Jun. 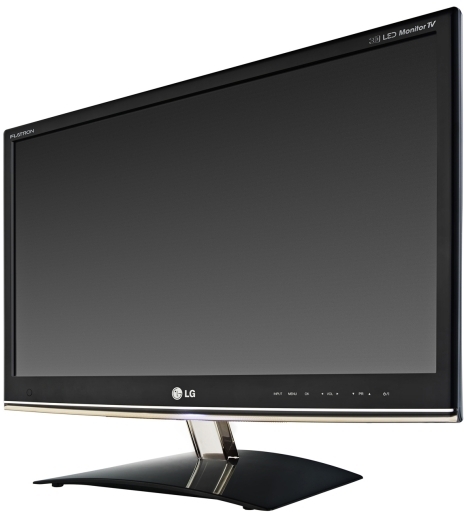 28, 2011 — LG Electronics (LG) today introduces its next generation DM50D monitor, which includes all the advantages found on LG’s game-changing CINEMA 3D TVs in a form factor that fits easily on a desktop. The flicker-free, bright images and lightweight 3D glasses that customers have come to associate with CINEMA 3D can all be found on the DM50D, including Full HDTV. The DM50D is the perfect platform for 3D gaming and movie watching. Like CINEMA 3D TVs, the DM50D monitor is also “Flicker Free” certified by European quality assurance agencies TÜV and Intertek. As well as producing wonderfully smooth 3D images, the lack of flicker and low crosstalk means an end to the dizziness and headaches users could sometimes experience on conventional 3D screens. The DM50D boasts the ultimate in 3D brightness, more than double that of conventional 3D monitors. What’s more, the glasses – also available as a clip-on for corrective glasses wearers – are extremely light, have no batteries and never need to be recharged. This makes them very comfortable to wear even for long work sessions or movie marathons. The DM50D 3D glasses are very affordably priced and are compatible with all of CINEMA 3D products. The DM50D also comes with a built-in 2D to 3D conversion feature so viewers can always watch top-quality 3D content on the fly. The conversion function works whether or not the monitor is connected to a PC and kicks in automatically on games to deliver the ultimate in 3D entertainment. What’s more, the DM50D boasts Full HDTV picture quality with a built-in DTV tuner that supports MPEG4, DVBC, DVBT and other digital TV broadcasting signals. Real surround sound delivers some of the fullest and vivid sound on any monitor and HDMI makes it a cinch to connect the DM50D to 3D games consoles, set-top boxes and more. And USB Quick View HD Play allows for the direct viewing of videos and photos through a USB flash drive even when the PC is off, freeing users from long boot-up times. LG’s DM50D monitor will be available in Europe beginning in July, to be followed by additional markets worldwide.